Much has been said about the business case for diversity and inclusion and how it can improve the economic performance and competitive edge of your organization. Traditionally, Inclusive Work Design has had quite a narrow definition – referring to flexible work arrangements, which allow people to work variable hours across different locations. At Diversitas, we believe that Inclusive Work Design is so much more than that. 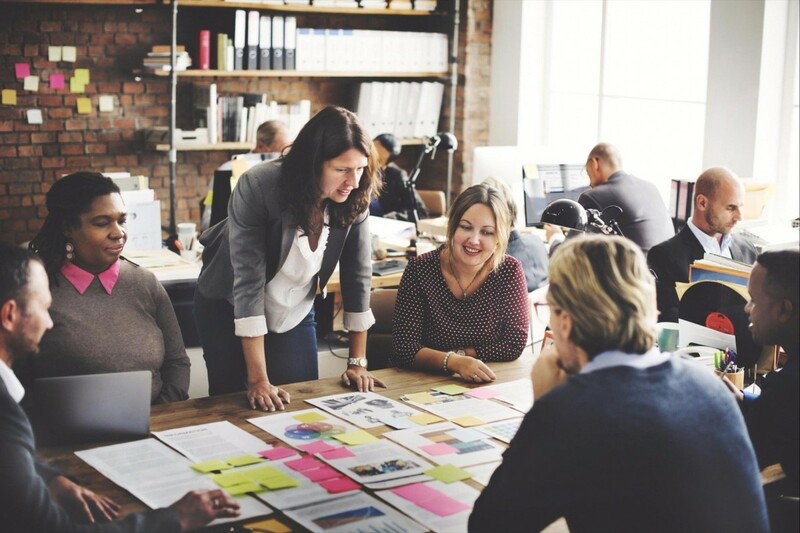 It’s about what you have in place to support your employees to work in a way that is optimal to them, values their difference, leverages their skills and ultimately, helps them to do their best work. This blog is the first in a series of seven, focusing specifically on practices and strategies you can put in place to ensure that your workplace is hallmarked by Inclusive Work Design. With an introductory blog and six topical blogs, along with the e-book that will compile them all, we will be focusing not only on specific topics on the theme of Inclusive Work Design, but we will also show you how you can equip your organisation with the skills it needs to implement inclusive work practices. This introductory blog will focus on what we mean by Inclusive Work Design and why it’s so important if you want your organisation to remain sustainable and profitable. What do we mean by Inclusive Work Design? Inclusive Work Design is not an afterthought, it’s about designing a workplace that is intentionally geared towards hiring, engaging and optimizing a workforce that might otherwise be marginalized as a result of finding themselves in a minority group. Taking it one step further, Inclusive Work Design is an umbrella term, which calls for an understanding of a range of your employee’s differences and how they play out in the workplace. This needs to be coupled with a commitment to give equal recognition to different styles of working being mindful that the way your employees engage with work, depends on a range of differing expectations, that reflect a variety of personality styles, cultural preferences and professional needs. Two words – organisational performance! To reiterate an earlier point, the performance of your people is inextricably linked to the bottom-line performance of your organisation. Irrespective of your product or service, you need people to ideate, design, develop, market, sell and support your customers. For this you need diversity, but diversity alone does not create high performance outcomes. To create a competitive advantage from your diversity, you need to understand how to effectively include and leverage it, by fostering an inclusive culture. The conditions in which diverse teams operate impact on their performance. Your organisation cannot be diverse AND successful if employees outside of a dominant group do not feel included. As human beings, we have all experienced how good it feels to be included and what this does to our motivation and performance. Therefore, ensuring your organisation has a culture of inclusion is a key ingredient to its success, and it will also naturally lead to an increase in diversity. Moreover, people hired from diverse backgrounds are more likely to remain employed with your organization if they feel that their perspective and contributions are valued by the organization, their team and their manager. Not easy to achieve when you consider that today, the workforce and their needs are more diverse than ever! Aside from the demographic make-up of workers today – as more women enter the workforce - generational and cultural differences as well as environmental, safety and sustainability factors are all influencing the way work is viewed and where and when work is delivered. This places a tremendous expectation on leaders to effectively engage their people. In essence, great leaders know how to create a ‘one size fits one’ experience for their people, which engages them and caters to their range of unique differences, while also aligning with strategic organisational goals! The factors which contribute to feelings of inclusion are many and varied. Choosing how many and which factors to focus on is essential if you want your organisation to see tangible results. Whichever factors you choose to address, it is becoming increasingly clear that the days of approaching inclusion as a “check the box” HR exercise are over. The above list makes it clear that the transition to an inclusive culture involves not only practical and procedural initiatives, but also a definite shift in thinking and behaviour. This is where it gets a bit tricky for most organisations. The question of how to revisit organisational practice, change current mindsets and hold managers accountable for their behaviours is an important but often overlooked consideration. Without this, developing a vision for an inclusive culture remains just that, a vision. So far, we’ve spoken about what we mean by Inclusive Work Design and Inclusive Culture, why it matters and why it involves a holistic review of not only your policies and processes but also your organisational mindsets and behaviours. We’ve also called out the fact that for most organisations this needs to be intentional in order to work. For the next blog in the series, we will be focusing specifically on how to embed Flexible Work across your organisation in a way which not only enables your employees to build engagement with your organisation, but also empowers them to deliver their best work. At Diversitas we can help design an Inclusive Work Design strategy bespoke to your organisational needs. To find out more about how we can help, contact us here. Download our checklist on how to assess your company’s inclusion efforts. There are a wide range of practices, attitudes and physical accommodations that make a workplace feel welcoming for people and support their full inclusion in the work environment. You can start now!